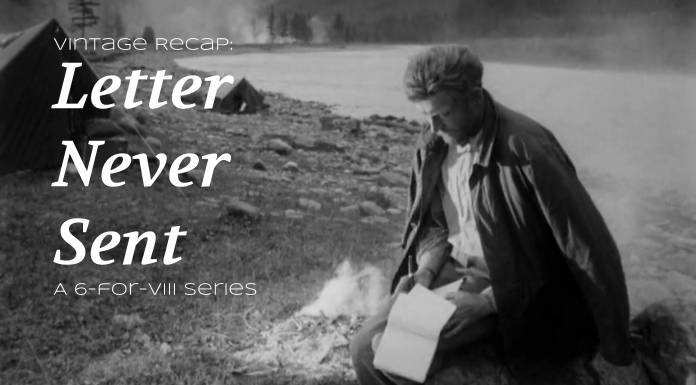 This episode takes a look at the 1960 Soviet film, Letter Never Sent. Joining Tyler is Michael O'Connor. This series is based on Rian Johnson, director of Star Wars: Episode VIII, having the film’s cast and crew watch six classic films prior to shooting The Last Jedi. You can find a related article here. In the months leading up to the premiere of The Last Jedi, Vintage Recap will take a look at each one of the films, and speculate on what elements of the film we may see in The Last Jedi.